Unless you’ve been in the Outer Hebrides for the last few weeks or so, then you will have no doubt heard the UK search community discussing the unveiling of the new Google Search Console suite. This is something I’ve been eagerly anticipating for months and I know I haven’t been alone. Now it is here, many technical and creative SEOs out there will be wondering just how they can utilise the new and improved Search Console to their benefit. Apart from getting a much-needed facelift, there are some exciting additions to the console which could well transform your reporting and your technical SEO strategy for the rest of 2018 and beyond. Because I’m a good guy, I’m going to tell you how I am already using the new Google Search Console which is of course still very much in Beta, in my daily SEO routine. The biggie for me has absolutely been the ability to compare Search Console data year on year. If like me, you have been battling with “Not Provided” for years now and trying to devise a way to demonstrate organic non-branded performance, then this could well be it. Google Analytics has been ineffectual for doing this for a long time and you can now filter thirteen months of data in the new Google Search Console. This of course means you can compare your previous months’ SEO activity, year on year and in a way that is aesthetically pleasing for your clients when the time comes for reporting. Perhaps more important than the number of organic clicks you are getting compared to the same period the previous year, are the keywords your users used to get to your site. Right? Whether you agree with this or not, the data is now there for you to peruse and use in any way you see fit. Reporting is of course the obvious choice, but you could also use this to inform your future SEO strategy, track keyword rankings using your software of choice even highlight landing pages that are underperforming. N.B. This data is of course not perfect and will not be every single query every Google user has used to get to your website (look out for Other), but is astronomically better than using an “Organic Non-Brand” segment in Google Analytics. 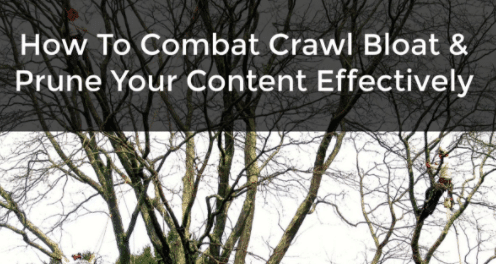 This will most probably filter out about a percent of your organic traffic. You will notice also that the clicks are rounded to the nearest thousand at the moment, whereas it was 100% accurate in the old console; something that will surely be rectified over time. This leads me to another nice little feature, better insight into organic landing page performance. You have of course been able to drill into this for years via the legacy version of Google Search Console but you now have the ability to use all this new keyword data you have at your disposal to see how much better metrics such as Impression, Click Through Rate and Average Position are performing. If you saw my talk at BrightonSEO about Refining Crawl & Index Bloat, then you will know how important I deem your site’s index coverage to be, this latest feature is of course music to my ears as a result. Crucially, you can monitor how many pages you have indexed in the Google SERPs and the number here should be identical to doing a site search for your domain. This is what I refer to as your Primary Pages and what you deem to be comprehensive, user-friendly and search engine optimised pages. No rubbish, these are what the new Search Console deems as valid pages. There are also Valid With Warnings, which are pages that are indexed but Google’s being a good egg and telling you that perhaps they shouldn’t be and you may want to look into a solution. Robots.txt? NoIndex tags; this is down to your intuition and technical SEO know how. There are also clear Error pages, these are pages that couldn’t be indexed for a plethora of reasons and so need your urgent attention. Your Excluded pages are pages that haven’t been indexed but Google believes to be intentional and valid. Search query parameters, WordPress archives or tag pages or any other of the regular duplicate content culprits are highly likely to be found in this section, but you may well want to check them out for any erroneous URLs. There is also a far more attractive AMP section in the new Google Search Console suite. It isn’t a million miles away from its predecessor but is again that little bit more pleasing on the eye and there is slightly more detail available regarding Warnings and Errors, which could be affecting the indexability of your AMP pages. If you have been prudent enough to get this implemented for your client, then this could help you to ensure all of your top content performs in the mobile SERPs. If you aren’t sure if this is worth the time, effort and resource, this excellent article from Barry Adams may help you to make an informed decision on that one. Complementing the Index Coverage section nicely is of course one of Search Console’s most vital functions, the ability to test and submit your regularly checked and updated XML Sitemap files. One of the most common mistakes I see when trying to refine your indexation is referencing pages you have blocked, canonicalised or noindexed in your XML sitemap. Mixed messages or what? You can now easily cross reference with your Index Coverage Report, to check this is all nicely in sync. Make sure you frequently compile your master version of your XML Sitemap, update at your root and submit via your nice, pretty new Google Search Console account. As is the case with any Beta software or suite, the new Google Search Console is far from perfect and many more features are on the way as suggested by the Coming Soon tab you will find when logging in. Remember to leave your suggestions for Google here if there are features you would like to see. For now, the above should give you some handy tips on how you start to utilise its new features straight away and I’ll be updating this article as other bits and pieces start to be added; hopefully in the not too distant future. The only thing I would suggest you bear in mind is the date you set up your Search Console accounts and if you have migrated from non-www (or vice versa) or to HTTPS. In which case you will most likely have set up a new Search Console account and you may have to interrogate both properties to get reliable data; year on year comparison in one graph will then be tricky but you can always put this together manually. As far as I can tell, the Property Sets have not been rolled out yet in the UK so until then just be sure to check that you are analysing all of your data. I hope this helps, be sure to check back soon for updates as Google continues to enhance the new Google Search Console, which I think you will agree is rather exciting indeed for Technical SEOs looking to show off their results in more detail. If you need any help deciphering your Search Console account, you can get in touch with Banc here.